The first boxing blockbuster of the year and one of my most eagerly anticipated films so far packs more than a punch with a lead showing once again his dedication to his profession. 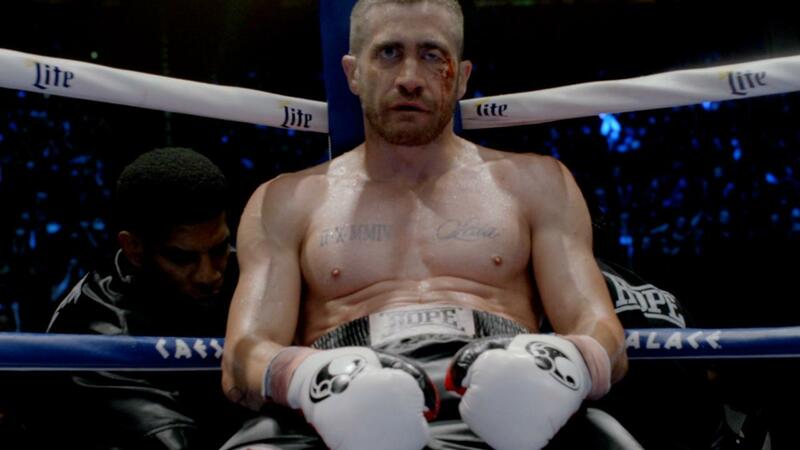 Jake Gyllenhaal’s transformation from weedy Lou Reed in NIGHTCRAWLER to incredibly built boxer Billy Hope in SOUTHPAW within the space of a year has been a major talking point of Hollywood and for the right reasons. This film truly showcases his acting talent, paying homage to his ability to method act. 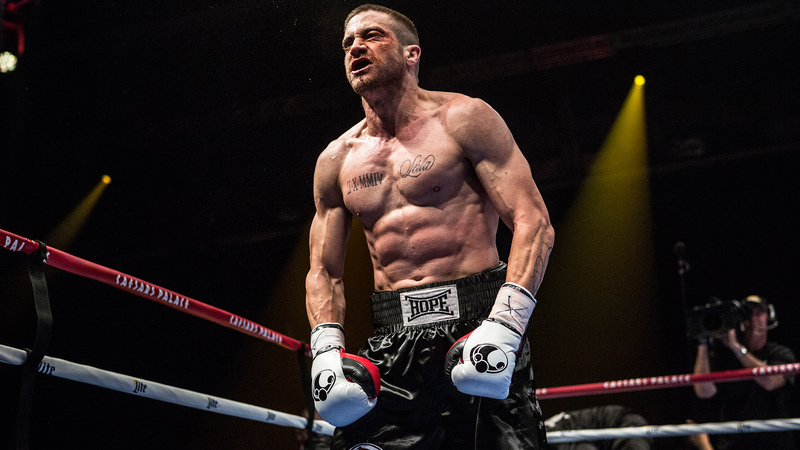 Billy Hope (Jake Gyllenhaal) is a boxer in his prime on TV screens around the world, but behind closed doors we witness the draining impact it has on his wife (Rachel McAdams). After his near-perfect family life is rocked by an unexpected death, Billy Hope sends himself into self-destruct, and eventually his boxing world he cherished so much crumbles around him. Trying to win back his daughter Leila (Oona Laurence) from child protection services, Billy seeks the help of trainer Tick Willis (Forest Whitaker) to get his life back on track and seek revenge against the lightweight champion of the world Miguel ‘Magic’ Escobar (Miguel Gomez). Will Billy Hope once again be the ‘Phenomenon’ which Eminem sings about on this soundtrack? You’ll have to go and see! I am a huge fan of boxing/fighting films. The true levels of emotion that this genre of film can produce always fascinates me, and of course, ever since the ROCKY films, I have always loved a motivational training scene, making me determined to trade those maltesers in for a jump-rope… for about five minutes! Personally, SOUTHPAW tops anything I have seen from the ROCKY franchise, and is up there with THE FIGHTER (2010) in terms of boxing films. The cast is superb and brings back the brilliance of Rachel McAdams and Forest Whitaker to the big screen. Their performances are heart-felt and hard-hitting at the same time, meaning that Jake Gyllenhaal is not the only piece of brilliance in this feature. Credit also has to be given to newcomer Oona Laurence who, personally, brings out the best in Gyllenhaal in this film, presenting us with an emotional father and daughter relationship. When I saw that Antoine Fuqua was in line to direct this film, I was instantly excited. He has produced some of my favourite films, including TRAINING DAY (2001) starring Denzel Washington, and his gritty and no holds barred approach to film-making was perfect for a boxing-feature. 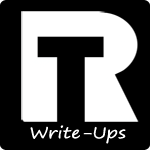 As always, he likes to bring some music talent into his pieces, and I was surprised by how decent 50 Cent was as the slimy and back-stabbing boxing promoter Jordan Mains. Moreover, the soundtrack to this film is brilliant. I am sure it is playing in the headsets of thousands of gym-goers and boxers while they train now and features the likes of Eminem and Notorious B.I.G. 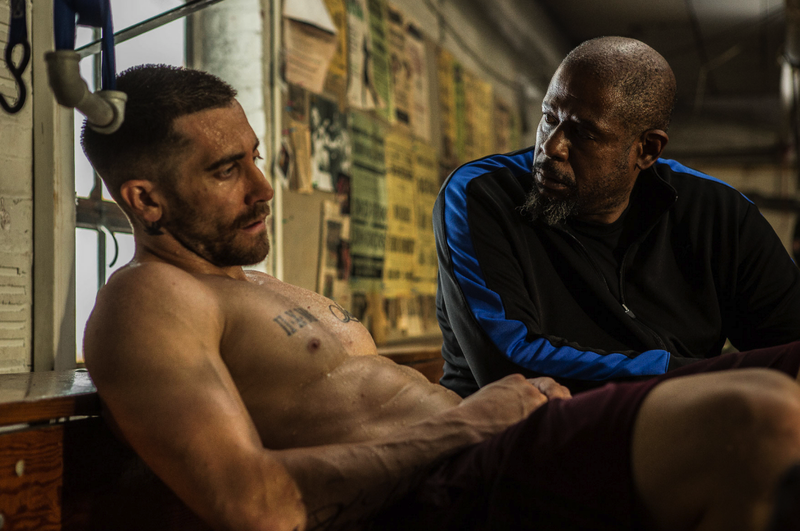 Overall SOUTHPAW is a big win for me at cinemas this month. It is the first film of the summer which has really blown me away, and one with hardly any faults. Once again Jake Gyllenhaal has fascinated me and he is gradually becoming one of my favourite actors to date.